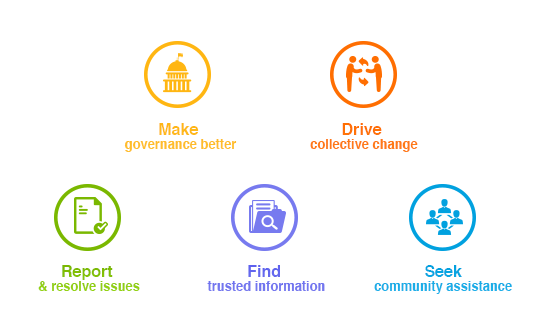 New Delhi, 30 December, 2016: With around 1.2 million citizens connected, LocalCircles was the most active social media platform to track how the citizen pulse was evolving during these 50 days post demonetisation. More than 100,000 citizens participated in debates and discussions on demonetisation with around 350,000 poll responses, posts, and comments came in on various aspects of it. Support for the “Cause of Demonetisation” was very high at 97% and was maintained though the demonetisation period. People were split on who should be held responsible for the gaps in planning and implementation of Demonetisation. People are holding RBI, Banks, Ministry of Finance and the Prime Minister almost responsible in equal proportion with RBI just slightly more than others. 50% citizens were spending less while for 20% citizens earnings were impacted. 30% of the lower spending was due to cash crunch and 20% of the lower spending was there due to uncertainty. 86% startups and SMEs said demonetisation was a positive for them in the long run as majority use technology to transact. 84% citizens said people have been able to convert their black money into white easily. 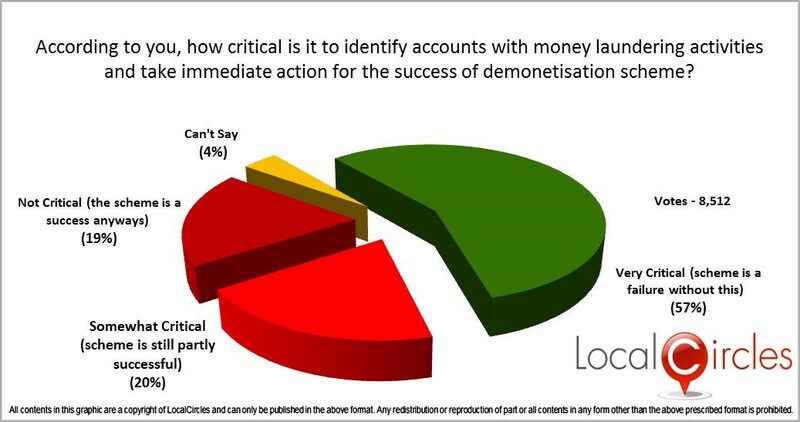 77% citizens said it is critical for the Government to scrutinize laundered money for the success of the demonetisation and catch people who have been able to convert their black money into white easily.